Roughly one year ago, the parents of Nima Gibba, the Eugene girl killed in one of the city’s deadliest car crashes, sought to create a charity foundation in her name. In January, they achieved that goal; Nima’s Wish became a registered non-profit, dedicated to bringing aid to impoverished West Africans. Now, the charity foundation is set to hold its first fundraiser, a concert, on May 3, 2012, from 6:30-Midnight at the McDonald Theatre in Eugene. The concert, called Spring Forward, will feature popular local acts Eleven Eyes, and The Sugar Beets. 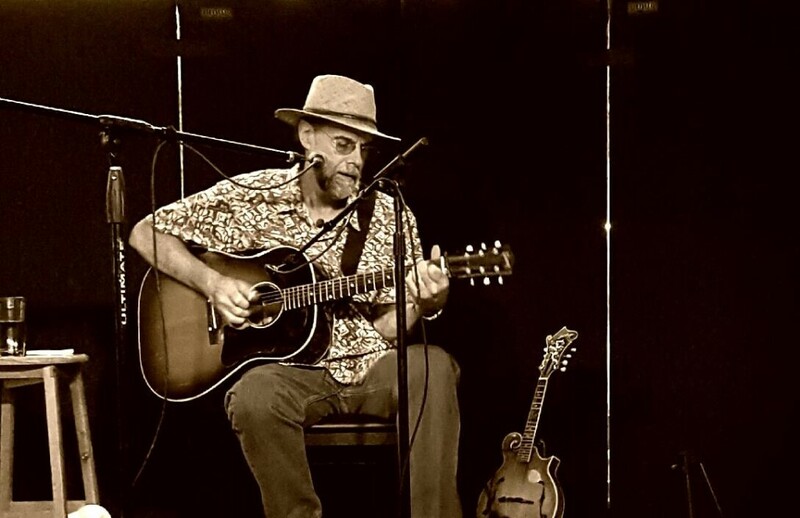 Blues player Mike Tracey, and the local duo Bajuana Tea will do sets as well. Also performing will be the popular local band Sol Seed, which recently returned from a tour in California. A six-person group, Sol Seed produces a reggae/funk sound, and was recently selected as the people’s choice for WOW Hall’s Best New Act in 2001. NOTE: Local reggae band Sol Seed was scheduled to play, but cancelled Thursday, due to a scheduling conflict. Another reggae band, Fire in the Rootz, has agreed to take their place. The Sugar Beets play danceable folk rock and have a strong local following. They’re also scheduled to headline the Burnt Woodstock festival in July. The members of Sugar Beets met at their University of Oregon dorm hall, and and the band has stayed together for the 22 years since, Marty Chilla, guitar player and singer for the band, said. Eleven Eyes member Tim McLaughlin, who plays mostly trumpet, said that his group plays frequent charity shows, but that the Nima’s Wish founders seemed particularly organized and dedicated. “When someone’s going to this amount of effort for an event, especially for a good cause, it’s nice to be a part of it,” McLaughlin said. Some of the money raised from the concert will go towards providing immediate aid to West Africa, and some will be used to organize a larger musical fundraiser during the summer, Nima’s stepmother Alexandra Sianis, who runs the non-profit with Eliman, said. Nima's tombstone is engraved with the phrase "Hanken nu bom," which in Eliman's language means, "Keep on dancing." “We’d like to have a big summer event, with workshops,” Sianis said, to educate people about social issues in Gambia. She and Eliman want to raise money to provide impoverished Gambians with efficient wood-burning stoves, solar water pumps, and to teach them to farm more sustainably. KMTR’s Angela Brauer has agreed to be the event’s emcee. She’s covered the Gibba family for the last couple years, and said she’s most impressed that Eliman and Sianis have publicly emphasized that they harbor no hatred towards the person who was convicted of causing Nima’s death. Nima was 11 years old in 2009 when she was killed, while carpooling home from school, by a drunk driver, who initiated the crash by running a red light. Heather Mulgrave, 36, Connie Vermilyea, 34, and Jaziah Vermilyea, 10, were also killed. A close friend of Nima’s, Jakobi Mulgrave, then 10, was seriously hurt, but survived and recovered from his physical injuries. Matthew Ellmers, the man responsible for the accident, is currently serving a 20-year prison sentence. The couple dedicated Nima’s Wish to raising money for aid to impoverished Gambians because much of Nima’s ancestry is based there. Eliman is a Gambian citizen, and the couple traveled there in 2010 to visit family and give Nima’s clothing and toys to Gambian schoolchildren. Because Nima attended Kennedy Middle school and was passionate about dancing, students from there will be performing dance routines during the intervals. Some of Nima’s friends will also do dance routines. All acts on the bill have agreed to donate their time, which has been a great help for Nima’s Wish, Sianis and Eliman said. “It’s really heartwarming that they’re willing to extend their hearts for the cause,” Sianis said of the bands. A late scratch to the show was Jah Sun, a well-known reggae artist from Humboldt County. Jah Sun, who also goes by Jason McCommas, was forced to remove his name from the bill because he’d previously agreed to travel to Africa to work on a project with Ethiopian children, called Youths of Shasha. Jah Sun’s publicist, Elliot Blair, said that nothing short of an international engagement would have kept Jah Sun from the show, and that they were both sorry he couldn’t make it. Sol Seed has agreed to perform in his place. The McDonald Theater is located at 1010 Willamette St., in Eugene. Doors will open at 6 p.m. Ticket prices are as follows: $18 if placed in advance, $20 at the door, and $15 with a valid student identification. The lineup for Spring Forward. Please note that Sol Seed is now slated to play in Jah Sun's place.